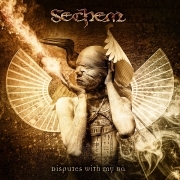 Oriental Metal band SECHEM will release their first studio album, Disputes With My Ba, on December 21, 2018. SECHEM portrays Ancient Egypt in an intimate, unique, and modern style, with their music representing a fierce combination between the crazy and heavy rhythms of the new subgenres of metal and the ancient and exotic instruments and melodies from different parts of the world. 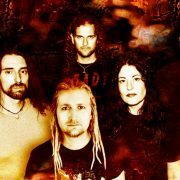 Disputes With My Ba was produced by the creator of Oriental Metal itself, the multitalented Yossi Sassi (ex-Orphaned Land), mixed by Arie Aranovich (Angra, Orphaned Land), and mastered by Jonathan Jiacobi (Jaffa Sound Arts Studio) in Israel. The album exemplifies the complex evolution of modern metal, as it has a huge variety of sounds blended together: from djent riffs and pure oriental metal (“In Search of Immortality”) to salsa-metal with maracas (“The Doomed Prince”), from stoner (“Rusty Nail”) to crazy power metal solos (“An Epic Journey To Yam”), from traditional Folk Metal (“Horus & Seth”) to jazz-style melodies (“Bird in a Cage”). Hailing from from St. Petersburg, Russia, Modern Melodic Death Metal band FLAMORN have unleashed a video for “Through The Line Of The Edge”. FLAMORN will be playing two release shows, the first in their hometown of St. Petersburg on October 5, and then October 7 in Moscow. Releasing material since 2014, the band has previously put out three singles (“Akashic Field”, “I’m Infected” and “Hologram”) and one EP, the 4-track Our Souls Are Born Again. REVEAL have released a new lyric video for “300”, a track inspired by the film of the same name. The song is from their debut album, “Timeline”, and features a guitar solo by Marcos Rodriguez from Rage. 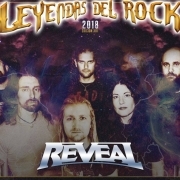 Reveal will be performing on August 11 at this year’s Leyendas del Rock Festival in Spain alongside metal greats Nightwish, Powerwolf, Kamelot, Sontata Arctica, Nocturnal Rites and many others. 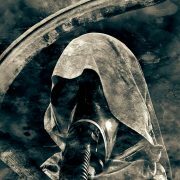 Reveal is a new band put together by Tino Hevia, one of the founders and composers of Darksun and Nörthwind. For Reveal, Tino recruited acclaimed Swedish singer Rob Lundgren, a well-known Youtube presence with more than 128,000 followers on the social network (www.youtube.com/user/LundgrenRob). The album was mixed and mastered at Soundchaser studios by Marcos Rodriguez. BLIND GUARDIAN, RAGE, PRIMAL FEAR, HELLOWEEN fans, check out REVEAL! Watch the “Under Control” video from their debut album, Timeline!